Philip Showalter Hench was born on February 28, 1896, in Pittsburgh, Pennsylvania, the son of Jacob Bixler Hench and Clara Showalter. He attended local local schools and then Lafayette College, graduating in 1916. After graduation he enlisted in the U. S. Army Medical Corps. and was transfered to the reserves so that he could finish his medical training. In 1920 he received his doctorate in medicine from the University of Pittsburgh and he did an internship at St. Francis Hospital. After his internship he became a fellow at the Mayo Foundation, the graduate school of the University of Minnesota's School of Medicine. In 1923 he became an assistant in the Mayo Clinic's Department of Rheumatic Diseases, and three years later he became the director. Between 1928 and 1929 he studied abroad at Freiburg University and the von Muller Clinic in Munich. He was appointed instructor for the Mayo Foundation in 1928, assistant professor in 1932, associate professor in 1935 and professor of medicine in 1947. During the 1920s the cause of rheumatoid arthritis had yet to be discovered and it was thought to be an infectious disease. One of Hench's patients with the disease, a sixty-nine year old doctor had started to improve the day after he became jaundiced. The jaundice passed in 4 weeks, but the improvement lasted for seven months. Hench documented patients with similar improvements following jaundice and noted the the improvement occurred no matter the cause of the jaundice and he had found that the greater the jaundice the greater the improvement. By 1938 he had collected a further 31 cases in which patients with rheumatoid arthritis who had improved following jaundice and he had also found improvements in pregnant and post-surgical patients and patients suffering from infections. Hench attributed the improvements to a unknown substance he called "Substance X", which he was unable to isolate. A break came when, after realizing that patients who have been in surgery have their adrenal glands stimulated, Hench turned his attention to the adrenals to find the substance. Hench collaborated with Edward Kendall, a professor physiological chemistry at the Mayo Clinic. Kendall was a prolific researcher, who during the 1930s was deeply involved in adrenal gland research. Kendall had isolated a number of compounds from the adrenal glands of cattle that showed biological activity. By 1941 Hench and Kendall, hypothesized that one of these substances, "Compound E", which was shown to preserve life in adrenaectomized animals, might be substance X. 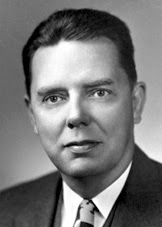 However they were unable to test their hypothesis because of the war and lack of Compound E.
During World War II, Hench became the Chief of the Medical Service and Director of the U.S. Army's Rheumatism Center. At that time the U. S. Government became interested in adrenal research due to rumors that Luftwaffe pilots were able to fly at altitudes of over 40,000 feet due to injections of adrenal extracts, and intelligence reports that Germany was buying large numbers of cattle adrenal glands from Argentina. With this interest National Research Council set up a committee to share research involving adrenal hormones and it was decided that due to the scarcity of adrenal hormones available from natural sources, they must look to synthetic sources. It took until 1944 for Compound E to be synthesized and then only in amounts too small for the synthesis to be commercially viable. In April 1948 Merck, the company who had completed the synthesis, convened a conference of endocrinologists who were interested in Compound E and split the 9 grams of the compound that they had up among the participants. Hench attempted to get some of this for his patients with rheumatoid arthritis, but he was unable to get any. Hench persisted and in September 1948 he was able to get 5 grams of Compound E from Merck. For his first patient Hench chose "Ms. Gardner", a 29-year old with severe, erosive rheumatoid arthritis. She had been an inpatient at the Mayo Clinic for 2 months, refusing to be discharged until she felt better. Using an initial dose of 50 milligrams, which was followed with four daily injections of 100 milligrams, the patient showed improvement and was able to walk out of the hospital after this treatment. Hench continued his teatments on another 14 patient over the following months and all showed improvement. Hench shared his results at the weekly meeting of the Mayo Clinic scientific staff on April 13, 1949. The meeting was packed and the presentation, which included a dramatic "before and after" film, was followed by a standing ovation. Word of the breakthrough quickly leaked to the scientific press. Hench renamed "Compound E" cortisone, the name it bears today. In 1950 Hench, Kendall and Tadeus Reichstein, a Swiss chemist who had collaborated with Hench and Kendall in their research, were awarded the Nobel Prize for Medicine and Physiology for "their discoveries relating to the hormones of the adrenal cortex, their structure and biological effects". Hench also won the Lasker award in 1949. He retired in 1957 and in his retirement worked with the Nobel Foundation to set up the Nobel Conferences, high level conferences that deal with the implications of scientific advance. Hench died on March 30, 1965.